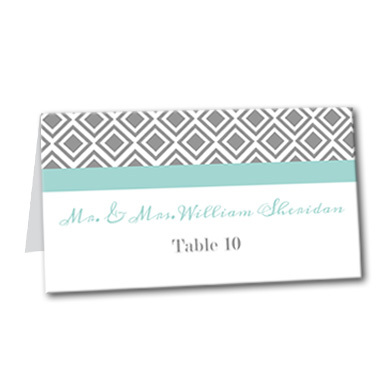 A beautiful blend of classic and contemporary, the Diamond Lace table card features a delicate diamond pattern, offset by a bold teal stripe and coordinating lettering. It's a modern take on traditional class, making it fitting for any number of wedding themes. Diamond Lace Table Card For the best experience, we recommend personalizing your stationery on a desktop computer.